…A monument to some of our country’s earliest and most renowned history. 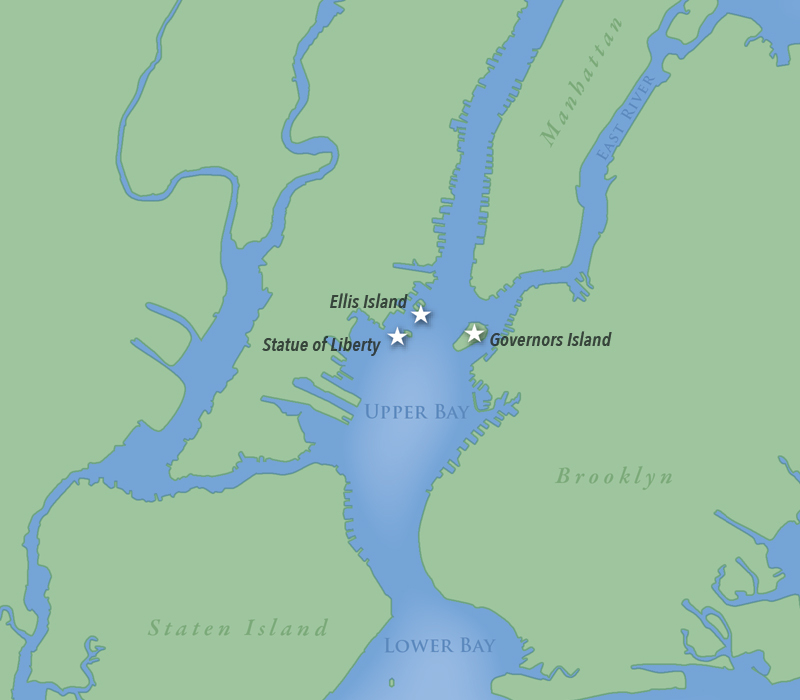 …an unspoiled island oasis, tantalizingly close to Manhattan. Trip Advisor review by Terri H.
…the show is emotional, immediate. …the absolutely greatest view of the Verrazano bridge and the old fort from the civil war. 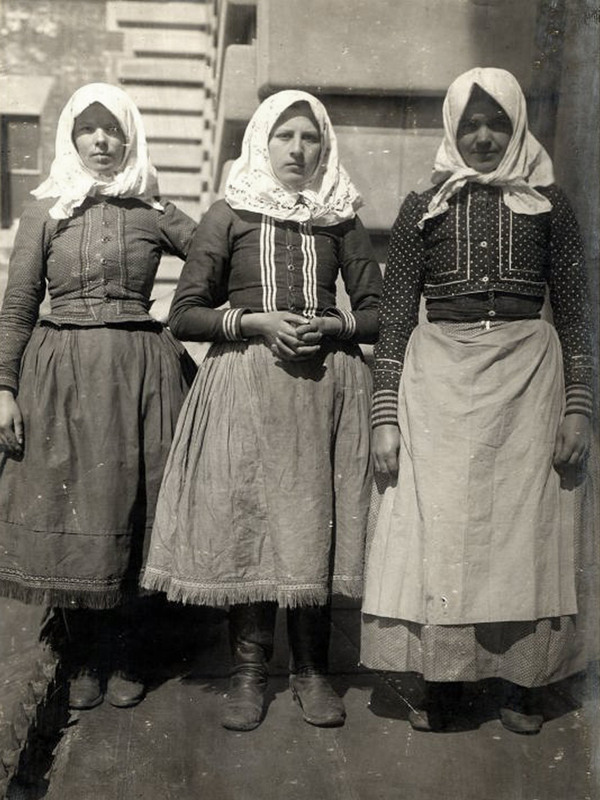 Yelp review by Dona F.
The Ellis Island Immigration Museum expresses the hopes and realities of the voyages of more than 12 million immigrants who passed through Ellis Island from 1892 to 1924. Exhibits showcase possessions that immigrants brought from their homelands, information on famous immigrants, and historic photographs, newspaper clippings, political cartoons and other commentary on the history of Ellis Island and immigration. Visitors can also view a film on immigration, search for specific individuals in the records of immigrants passing through Ellis Island, and view the American Immigrant Wall of Honor, already inscribed with over 700,000 immigrant names. 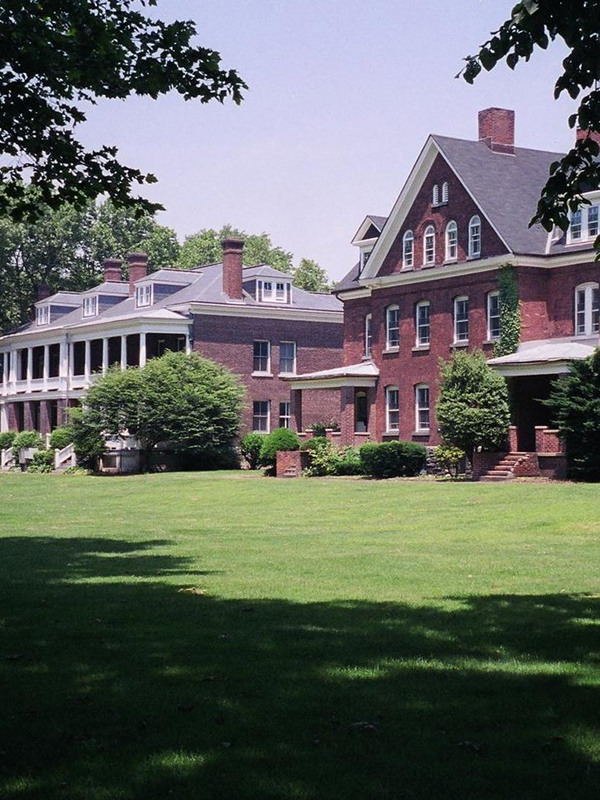 A former U.S. Army military base and U.S. Coast Guard station, Governors Island is the oldest European settlement in New York. A short ferry ride from Lower Manhattan or Brooklyn will get you there to picnic, bike and enjoy gorgeous views as well as a wide array of cultural activities. 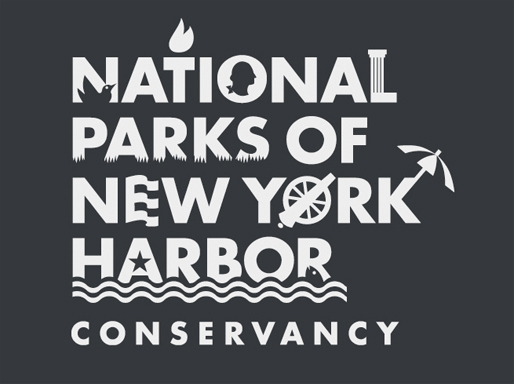 NPS administers the 22-acre national monument within a larger National Historic Landmark District, which showcases two forts — Fort Jay and Castle Williams — constructed in the early 19th century to protect New York City from naval attack. The remainder of the island is administered by the Trust for Governors Island, which hosts a wide variety of festivals, arts events and recreational activities. 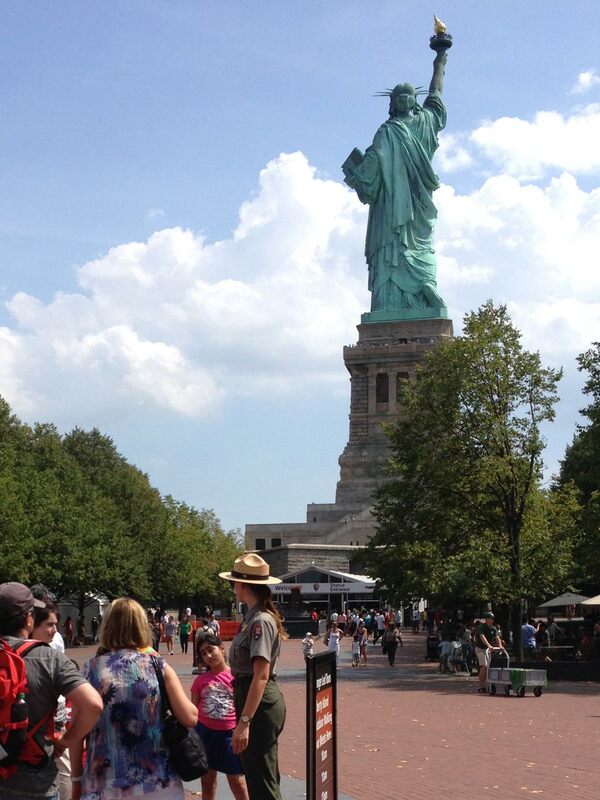 Perhaps the most recognizable woman in the world, the Statue of Liberty has come to symbolize America itself. A gift from the people of France, the statue was given to the U.S. as a symbol of enduring liberty and union after the Civil War. Heralded as the eighth wonder of the world when erected in 1886, “Liberty Enlightening the World” by sculptor Frederic Auguste Bartholdi was the tallest structure in the city and the tallest statue in the world. Visitors can climb to the pedestal and crown for 360 degree views of the harbor; view the original torch up-close in the lobby of the statue; and tour the museum, which includes many informational displays, models, and scale replicas. Canarsie Pier is known to locals as a prime location to catch blue fish and fluke. Surrounded by protected shoreline and salt marshes, the beautiful natural backdrop is an ideal spot for picnicking and outdoor recreation. Once an important New York City airport, Floyd Bennett Field is now dedicated to the celebration of aviation history and the great outdoors. Check out historic aircraft in Hangar B, take a self-guided or ranger-led walk through the wild North Forty, enjoy Brooklyn’s largest community garden or camp out under the stars. 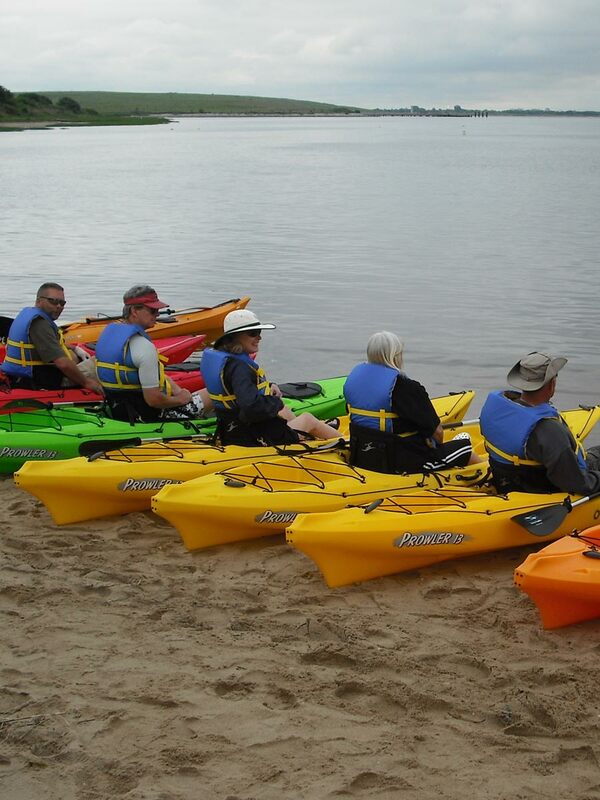 You can also join a group kayaking excursion or learn to paddle. Other activities include birding, fishing, stargazing, horseback riding, golfing and a variety of sports at the Aviator Sports & Events Center. 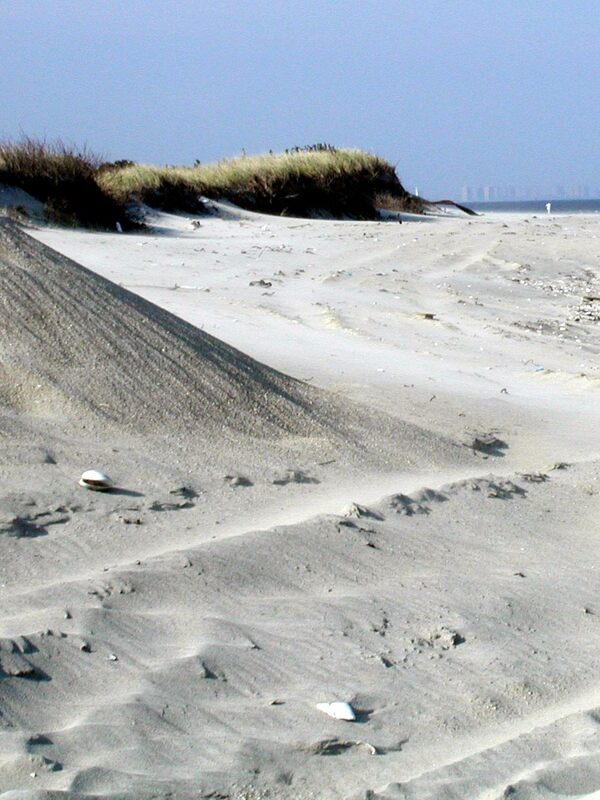 Breezy Point Tip features over two hundred acres of ocean-front beach, bay shoreline, sand dunes, marshes and coastal grasslands, and is an important nesting area for the threatened Piping Plover. Come to catch striped bass, blue fish and summer flounder or simply to get lost in the rural beauty of the setting. 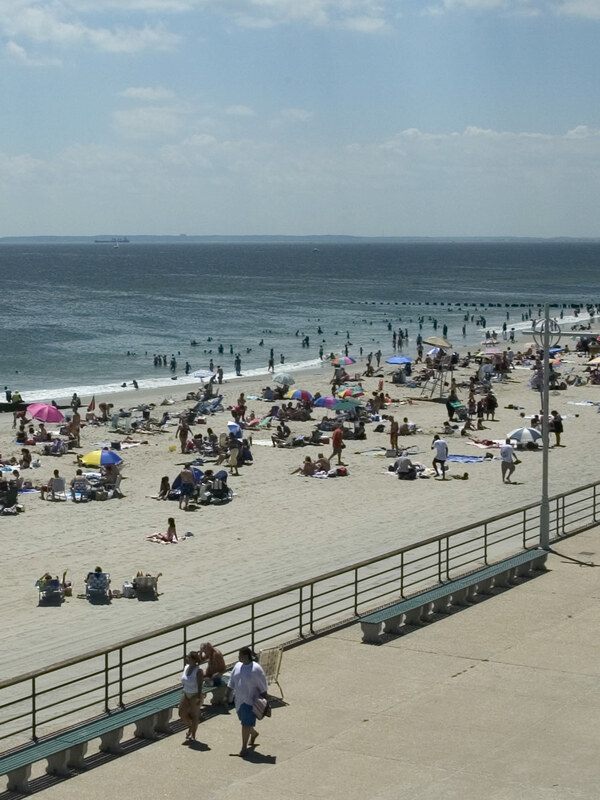 Dubbed “The People’s Beach,” Jacob Riis Park is a popular summer destination steeped in history. Opened in 1932, the restored Art Deco bathhouse is home to a variety of ranger-led programs and history exhibits. Facilities available in season include the Riis Park Pitch and Putt Golf Course, ball courts and food concessions. The park is named in honor of Jacob Riis, the famed New York City journalist and photographer who documented the plight of the poor and working class in the city’s tenements. Today, the park’s ocean beach and landscaped walkways, boardwalks and courtyards still provide city dwellers, many of them new immigrants, an opportunity to spread out and enjoy the open air. 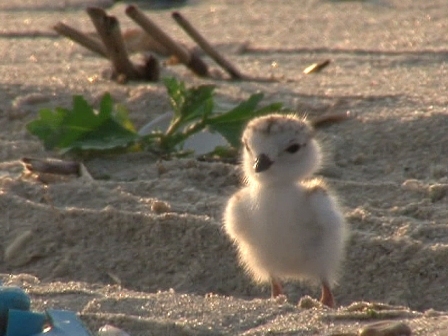 The Jamaica Bay Wildlife Refuge is one of the most significant bird sanctuaries in the Northeastern United States and one of the best places in New York City to observe migrating species. With more than 330 bird species—nearly half the species in the Northeast—sighted at the refuge over the last 25 years, it is a must-see for avian enthusiasts. The park’s unique landscape contains a variety of rare native habitats including a salt marsh, upland field and woods, several fresh and brackish water ponds, and an open expanse of bay. 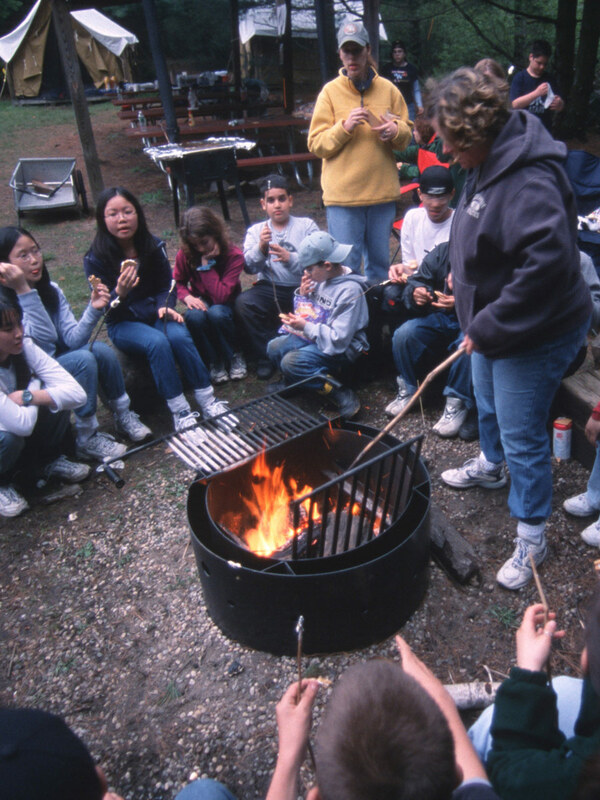 There is a wide variety of ranger and partner-led programs offered year-round at the site, including presentations on seasonal wildlife, sunset tours, hikes, boat trips, family programs and an annual lecture series. Gateway was added to the National Park System in 1972, and was heralded as a breakthrough in recreation planning. Located in the heart of urban America, Gateway’s 11 park sites encompass more than 27,000 acres of land and water in New York City and New Jersey and welcome almost 10 million visitors annually. Program offerings include ecology walks, kayak and canoeing trips, history tours, lectures, and urban camping, to name a few. The park caters to all types of visitors, from first-timers to seasoned experts, and is accessible to all—even those looking to simply relax on a beach. 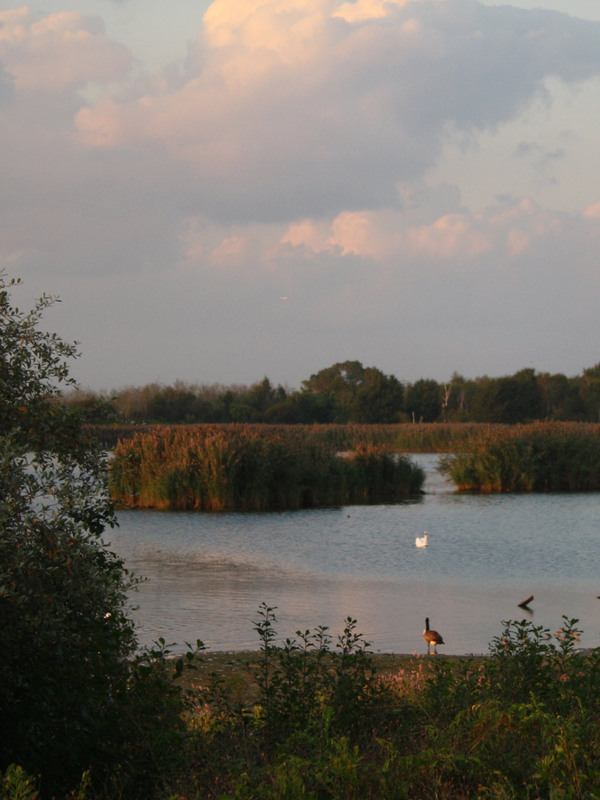 Gateway National Recreation Area is a don’t-miss destination for residents and visitors alike. 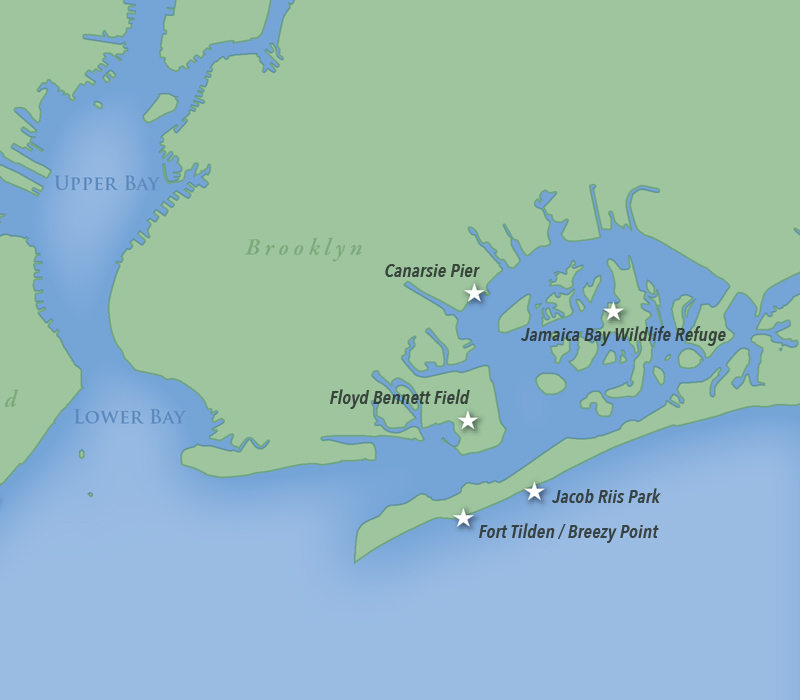 For more information, see the individual park sites listed on this page under Jamaica Bay, Staten Island and Sandy Hook. Hailed as the most important archaeological find of the 20th century, the African Burial Ground marks an African graveyard from the 17th and 18th centuries, discovered during construction of the Ted Weiss Federal Building in Lower Manhattan in 1991. Four hundred nineteen sets of human remains were unearthed, studied at Howard University and re-interred on October 4, 2003. 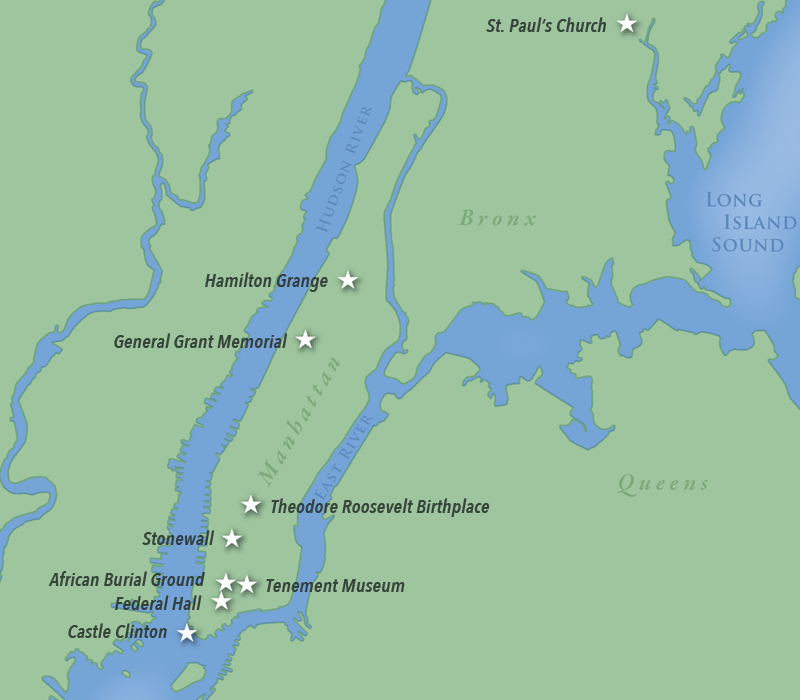 The only U.S. national monument that commemorates the struggles of Africans and African descendants, the Burial Ground includes an outdoor memorial designed by Rodney Leon and a visitor center with exhibits about the history of the cemetery, the African contribution to the building of early New York City and the more recent events surrounding the site’s discovery and construction. Castle Clinton, a mélange of past and present, is a window into the city’s history and a prime venue for tours and performances, as well as the ticketing gateway to the Statue of Liberty and Ellis Island. 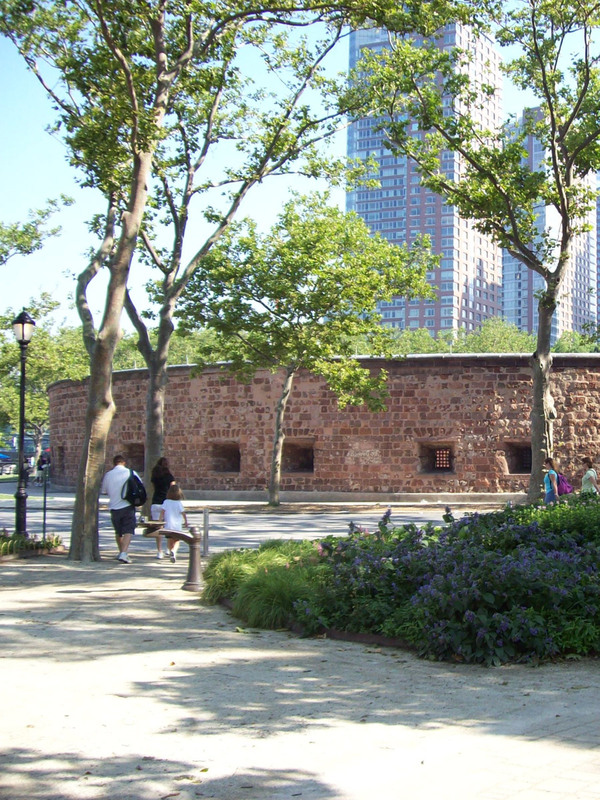 Its various historic incarnations include a military fort built in preparation for the War of 1812, an entertainment center where the opera diva Jenny Lind made her American debut in 1850, an immigrant reception station for New York State in the latter half of the 19th century and the New York Aquarium from 1896 to 1941. In 1946, the site was named Castle Clinton National Monument and the original fort structure was restored, complete with replica cannons. 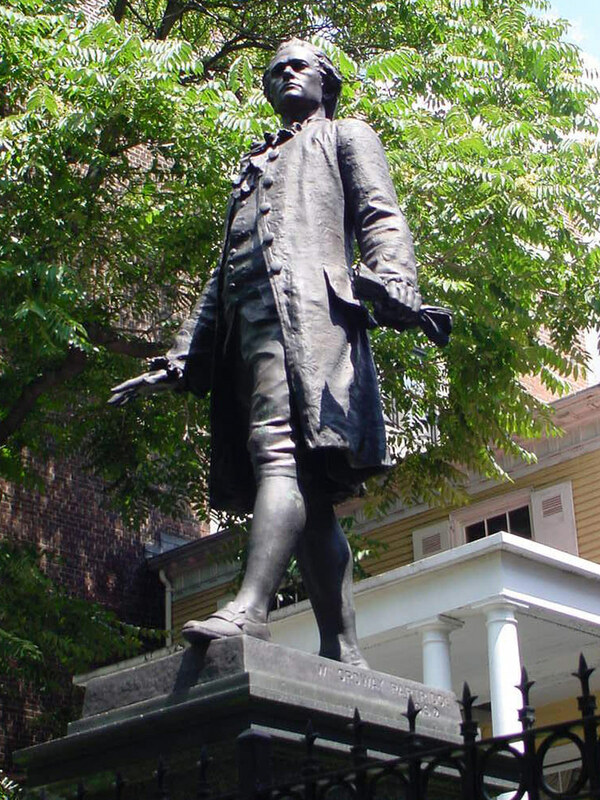 This historic site on Wall Street is where the first United States Congress met, George Washington was inaugurated President in 1789 and the Bill of Rights was passed. 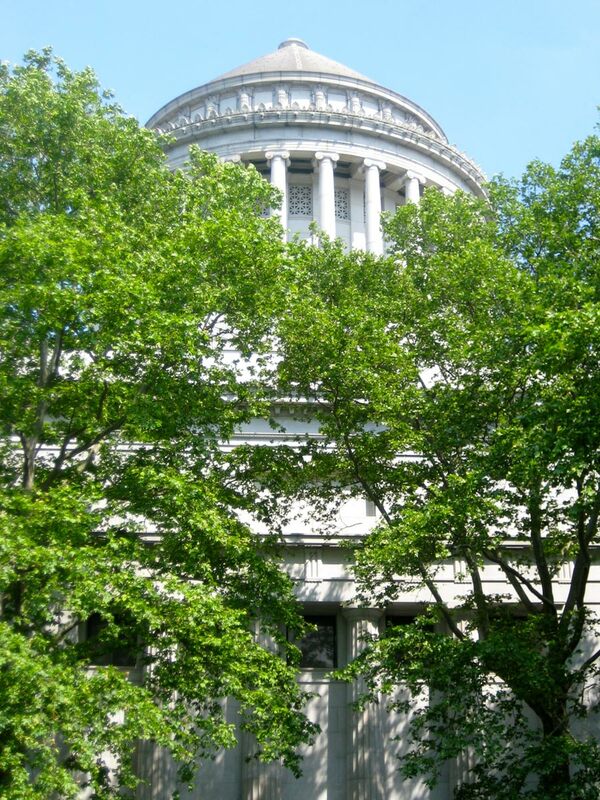 The current building, completed in 1842 and modeled after the Greek Parthenon, was built as a U.S. Customs House and is now a memorial to the nation’s founding democratic ideals. In 2015, Federal Hall was designated a National Treasure by the National Trust for Historic Preservation and American Express. Visitors to Federal Hall can see the bible used by Washington on inauguration day and a piece of the stone balcony on which he stood as he was sworn into office. 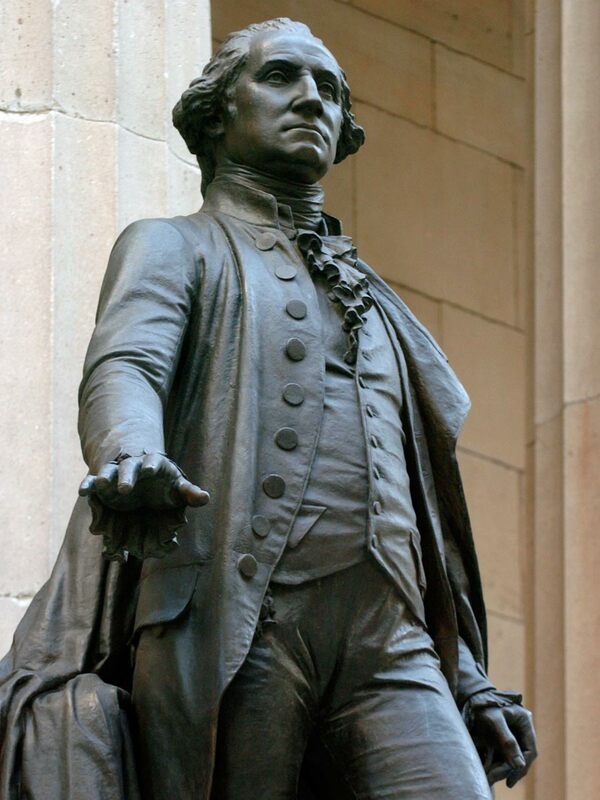 They can also take guided tours of the building and take photos with the iconic bronze statue of George Washington by John Quincy Adams Ward on the front steps. General Grant Memorial is the final resting place of General Ulysses S. Grant and his wife Julia Dent Grant. Commonly called “Grant’s Tomb,” this soaring structure with 150-foot domed ceilings and a stunning 8,000 tons of white marble and granite, is the largest tomb in North America. It is matched in form by the Overlook Pavilion across the street in Riverside Park. The Pavilion is one of the highest elevations overlooking the Hudson and serves as a welcome center with visitor information and community services. Park ranger-led tours give visitors the opportunity to enter the memorial and view the actual tombs while learning about the site’s history. 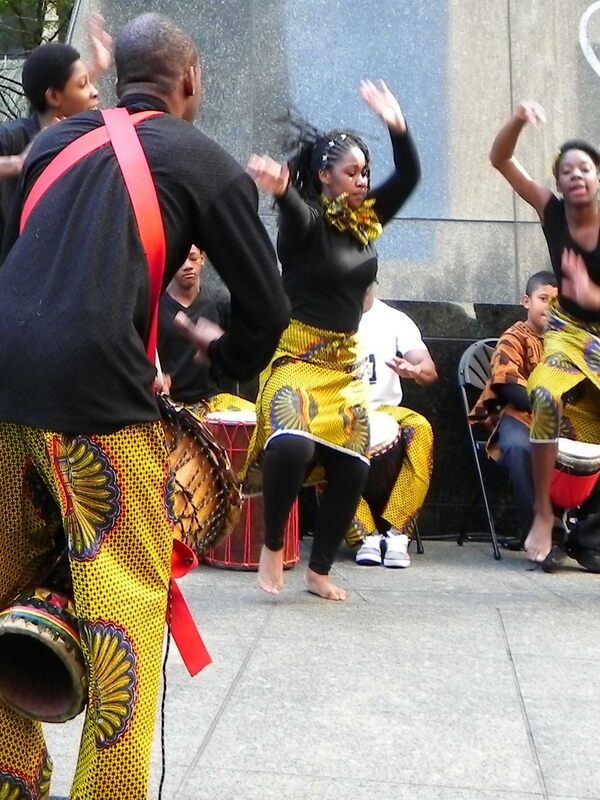 Outdoor concerts, commemorations, and other special events take place on the plaza. Hamilton Grange is the home of Founding Father Alexander Hamilton. A primary creator of the Federalist Papers, Hamilton contributed to the development of political parties and the emergence of the nation’s strong central government. As the first Secretary of the Treasury, he created the financial foundation of the U.S. by forming the national bank and establishing the financial integrity of the young nation. Designed by John McComb, Jr., one of the designers of New York’s City Hall, Hamilton Grange is a very early example of domestic Federal style architecture. The site offers guided tours, exhibits and programs that illuminate Hamilton’s life and contribution to the birth of the nation. Built during the Revolutionary War era, Saint Paul’s Church is one of the oldest churches in New York. Although the church offered its last service in 1977, it is still an active site, offering a wide variety of historical programming. Saint Paul’s maintains a busy annual calendar of special events including living history, educational and children’s programs as well as walking tours. 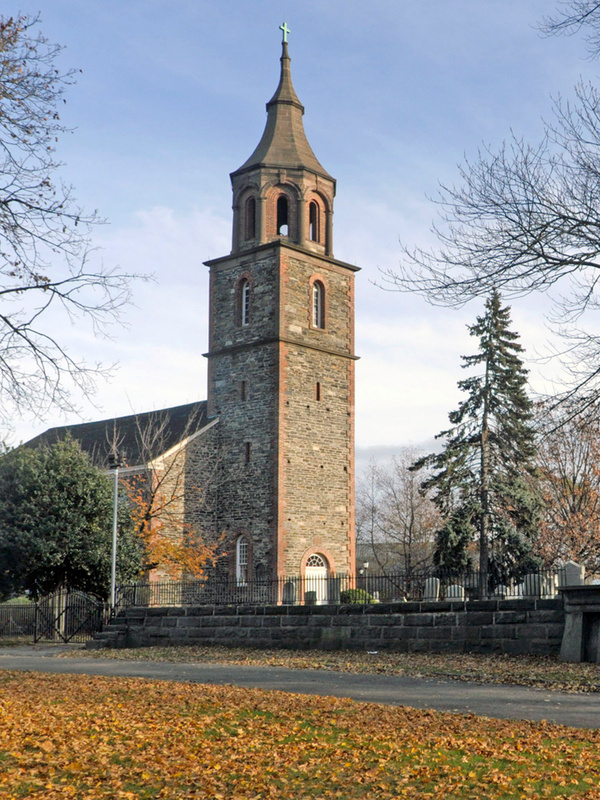 The site’s highlights include a 300-year-old cemetery and a famous Revolutionary War-era steeple bell. The adjacent carriage house serves today as an American Revolution museum. Stonewall National Monument is a new national park unit located in Christopher Park, in New York City’s Historic Greenwich Village. 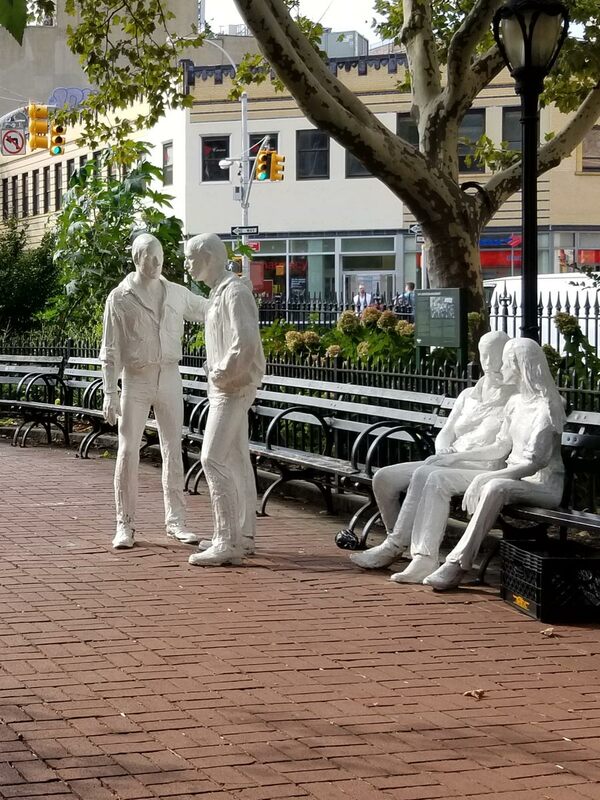 The monument sits across the street from The Stonewall Inn, a National Historic Landmark known for its role in the beginning of the modern struggle for the civil rights of lesbian, gay, bisexual and transgender Americans. On June 28, 1969, the New York City police raided the inn, reflecting a pattern of harassment directed at LGBT establishments. This initial raid, sparked a riot that led to six days of demonstrations in the area. The Stonewall riots inspired LGBT people throughout the country to organize and vocally demand rights. The Stonewall Inn still exists today as a private establishment. The national monument is still being developed, with more programs and services to come in the future. 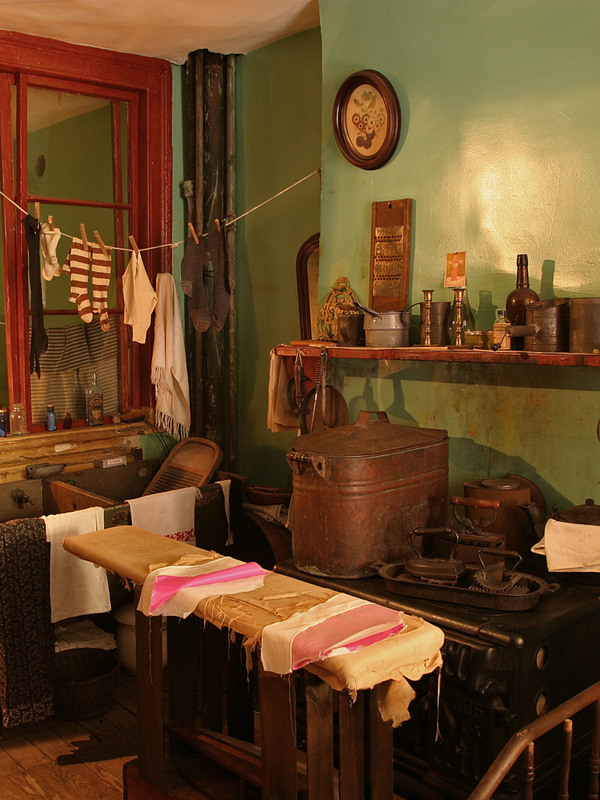 Guided tours offered by the Tenement Museum—an affiliated national park site—take visitors within the walls of the landmark tenement building at 97 Orchard Street or through the historic neighborhood. Constructed by German immigrant Lukas Glockner in 1863, the tenement was home to an estimated 7,000 people from more than 20 nations between 1863 and 1935. The museum recreates apartments of real-life tenants, engages visitors in their stories and draws connections to present-day immigration debates and issues. Theodore Roosevelt Birthplace commemorates the man who led America onto the world’s stage while also championing the preservation of its historic and natural resources. 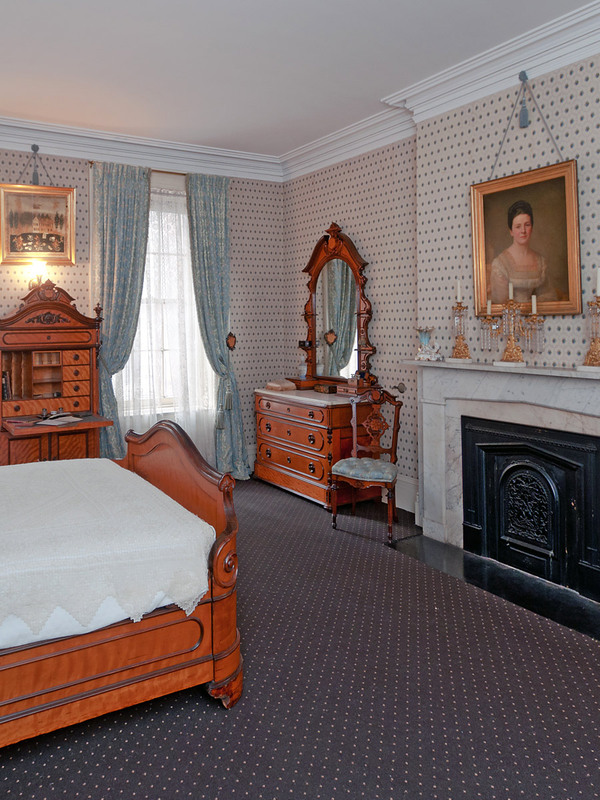 The national historic site is a reconstruction of Roosevelt’s original home, featuring five fully furnished period rooms that offer insight into the life of a wealthy New York family in the 1860s. Approximately one half of the objects and furnishings are from the original Roosevelt family residence, the remainder are of the period. The collections on view illustrate TR’s early family life as well as his late military and political career. Taxidermy specimens and volumes from his library remind the visitor of his keen interest in hunting and exploration. Fort Hancock provided coastal defense for New York Harbor from 1895 until 1974. During the height of the Cold War, the fort housed Nike missiles prepared to intercept warplanes threatening New York City. 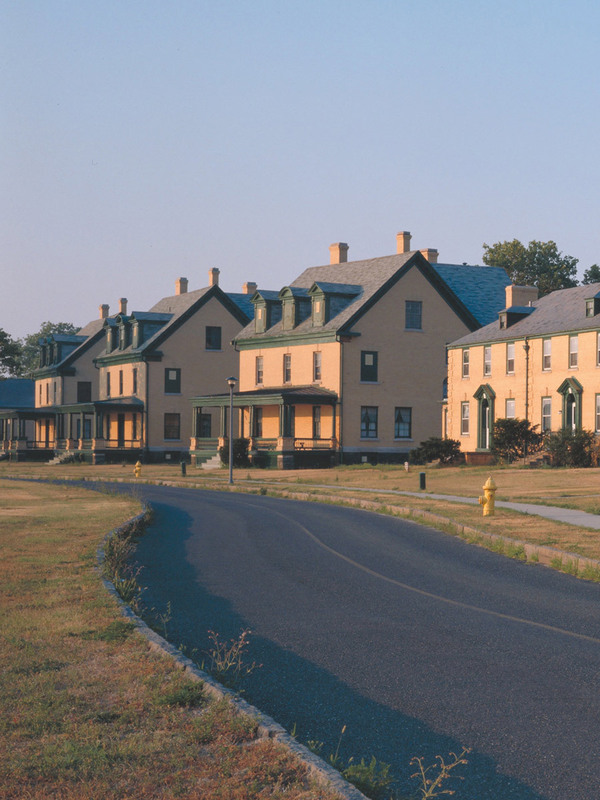 Just a quick trip from Manhattan by ferry, this National Historic Landmark district at Sandy Hook is open for the public to explore. Today, you can take a break from the beach and take a tour of Battery Potter, Battery Gunnison and the Sandy Hook Lighthouse, the oldest continuously operated lighthouse in the country. 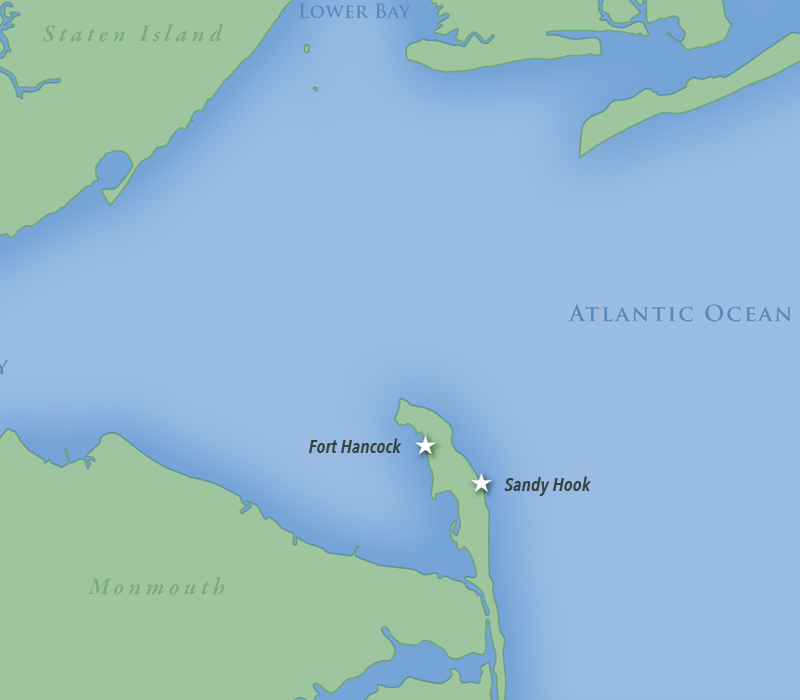 A quick trip by car or ferry from Manhattan or inland New Jersey, this 2,044-acre peninsula includes seven pristine public beaches, as well as historical landmarks including Fort Hancock and the Sandy Hook Lighthouse. 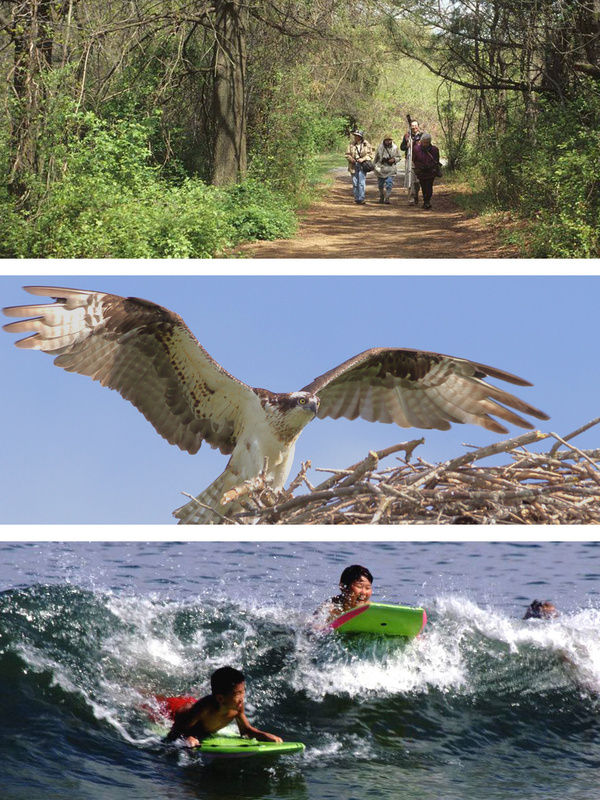 In addition to swimming and boating, visitors can participate in guided nature walks, group bike rides, beach campfires and other educational and recreational activities. Birds and other wildlife are plentiful, including harbor seals during winter migration. In summer, mid-week beach concerts are a popular attraction. 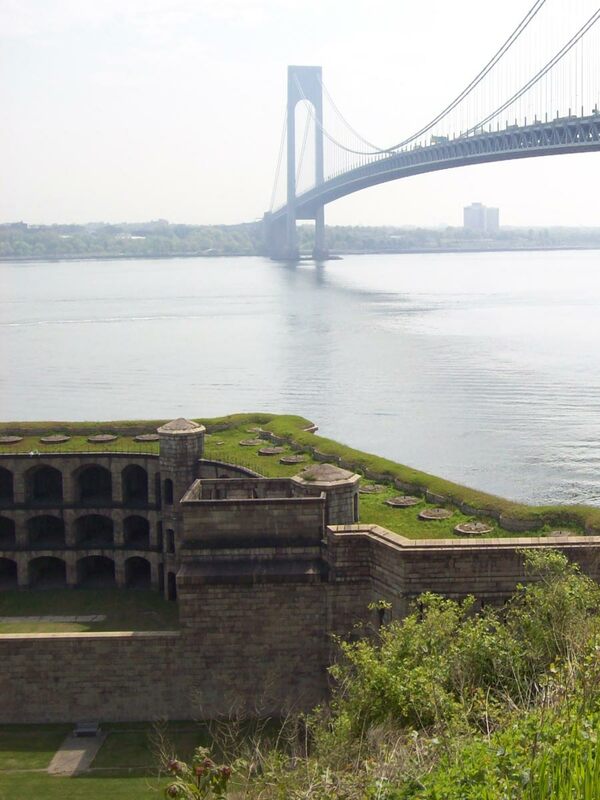 Fort Wadsworth has guarded the entrance to New York Harbor for over 200 years. 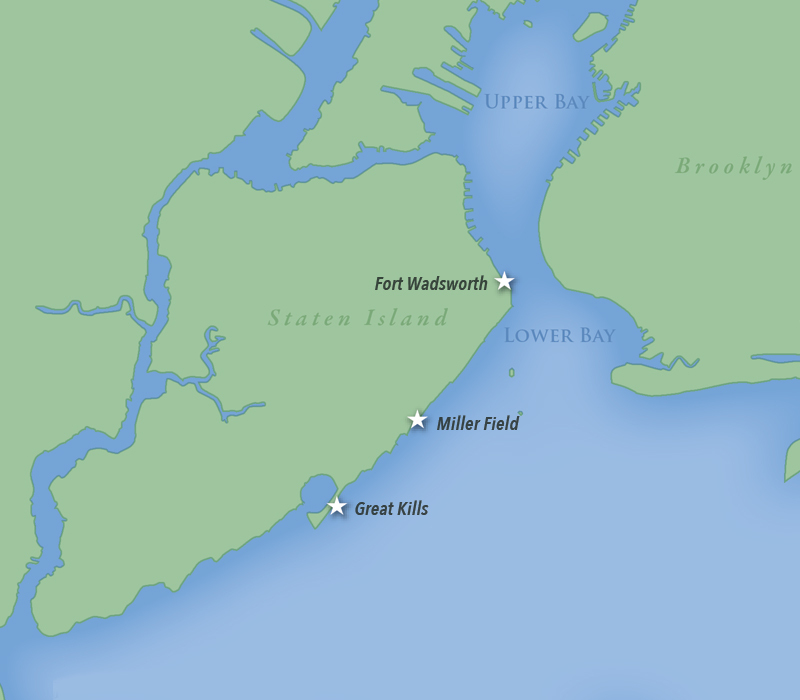 Strategically located on the west shores of the Narrows, the closest point between the Brooklyn and Staten Island coastlines, it has the distinction of being the fort with the longest continuous military history in the United States. This historic park site now offers some of the best views of the harbor and city. Visitors can explore the catacomb-like tunnels in the fort’s batteries on guided tours and enjoy a variety of recreational and educational activities. Camping is also offered in the summer. Located on a peninsula in Staten Island, Great Kills Park is 580 acres of open space where visitors can enjoy many recreational amenities or explore the wildlife still thriving in New York City. You can relax on the beach, go for a swim in the life-guarded ocean surf or hike, bike and run on the trails or multi-use path. 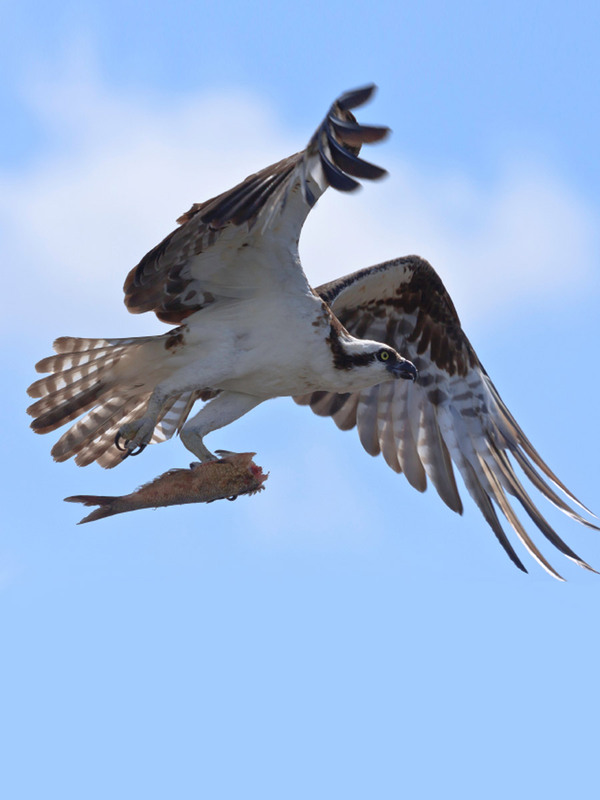 Known locally for its ecological resources, Great Kills is home to the only osprey nesting site on Staten Island. World War Veteran’s Park at Miller Field was named for Captain James Ely Miller, the first American aviator killed in combat in France during World War I. 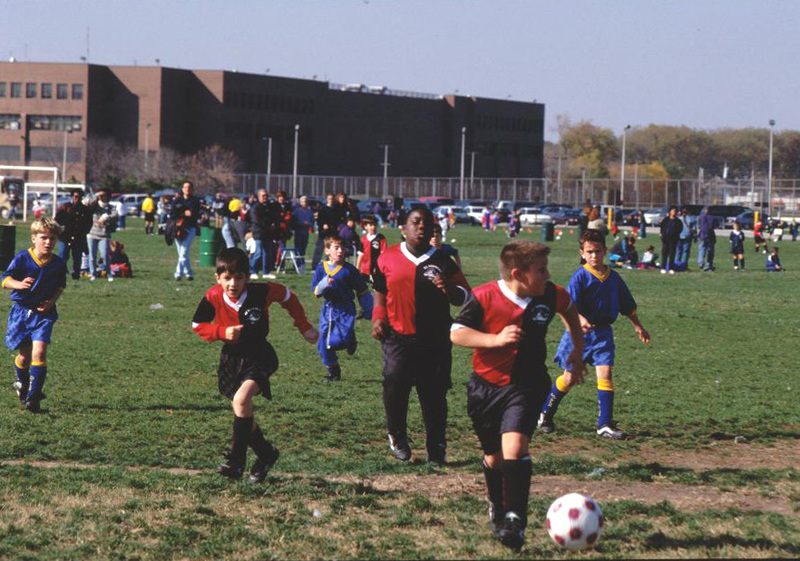 With over 187 acres of open space, Miller Field is home to cricket, soccer, baseball and softball fields as well as a bocce court, playgrounds, and a picnic area. Altogether, more than 80 leagues and 2,000 teams enjoy its sports facilities annually. Its Swamp White Oak Forest is known locally as a secluded spot to see a wide variety of birds.